Thank you for taking the to page through our brochure, website and general information. This is a mere continuation of a vision and dream I had since childhood days growing up in the open spaces of the African Bushveld. Man and mankind have always been hunters. All though we live in a modern world I have soon realised that I can provide that experience to YOU. 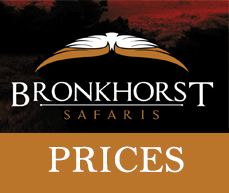 Born in the North West Province of South Africa Phillip Bronkhorst grew up in a family of hunters. Hunting with other professional hunters from as young as 13 years of age laid the basis for my career choice as professional hunter and eventually outfitter. Finishing senior school in the Lowveld of South Africa was followed by 2 years national service of which one year was in Angola. To extend my knowledge of the African bush I did a 3 year Diploma in Nature Conservation. My year of practical was spend with National Parks Board. After spending a number of years as freelance Professional Hunter for companies like Kgama Safaris and Hunters & Guides I started hunting full time with my own company Phillip Bronkhorst Safaris. Family is very important to us. Being a hunter that brings his wife, girlfriend of children along, everybody being part of the safari is vital to us. My wife Jo-anne, sons Christiaan, Dewald & Ruan is so much part of the service and environment we offer our clients. The shores of Africa are our boundaries. Hunting Africa is my passion. Guiding clients in Africa to full fill their lifelong dreams is our mission. A Happy client is our goal. All of the above mentioned is only possible top class areas, well equipped safari camps, professional hunters of outstanding quality and making you feel welcome in our safari camps. I feel proud about what I can offer my safari guests. 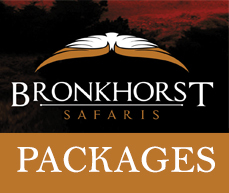 I would like to extend my invitation to you to book or rebook your safari with Phillip Bronkhorst Safaris. Even if it is a safari in the not too distant future, our combined knowledge and dedication would make planning and booking this safari an easy experience.